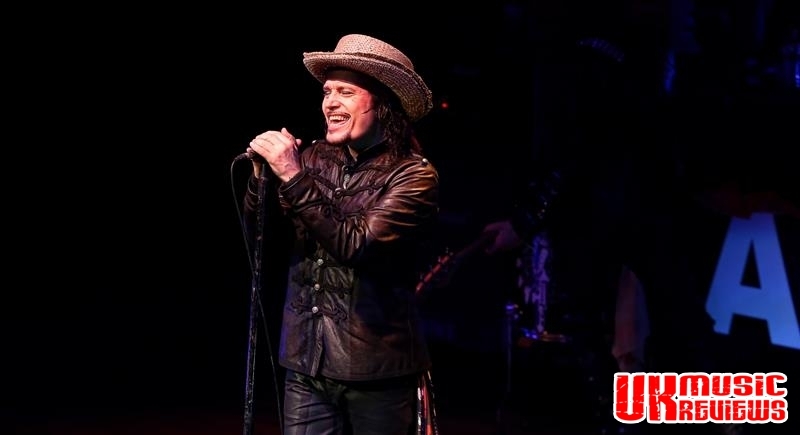 Adam Ant performs his Anthems – The Singles Tour at The Royal Concert Tour Nottingham on Sunday 28th May 2017. The 80s saw a group take the music world by storm with its mix of a little bit of post punk with the flamboyance of the glam influenced new romantics, and who had a lead singer that dressed as a pirate and slathered his face in greasepaint. 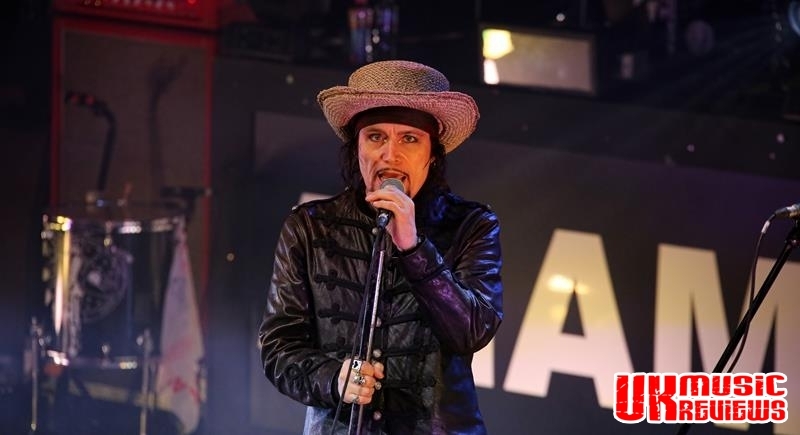 It is unbelievable that Adam Ant still manages to strike a pop star pose today after his difficult times when his untreated bipolar disorder laid him low. 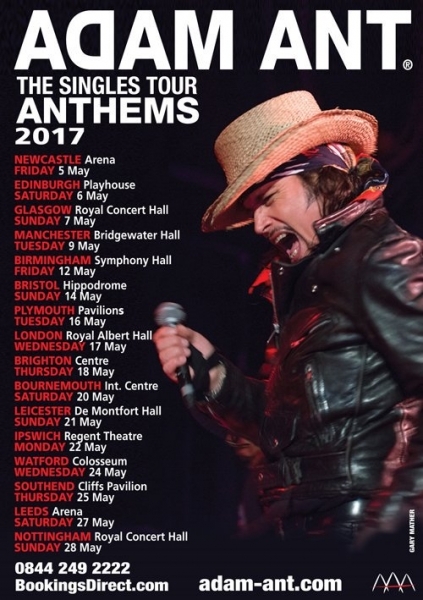 With the Ants having been long gone to pursue their own various projects, the young man from Marylebone still sells out venues and last night Adam Ant was at the Royal Concert Hall to perform songs from all stages of his career on a tour called Anthems – The Singles. 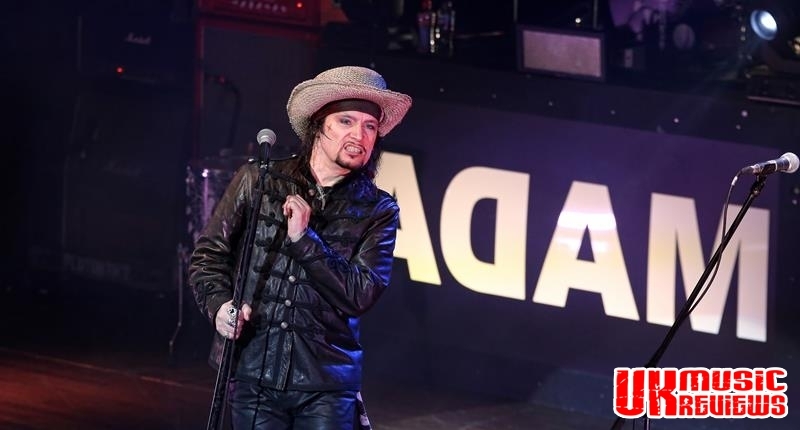 Looking good for 62, he burst onto the stage wearing a brown leather pirate’s coat, a black bandana and two straw hats that inspired the look for Captain Jack Sparrow, and kicked off with a strident Beat My Guest which is the flip side of Stand And Deliver. Because that is what this concert promised; a dip into the star’s back catalogue of hits, B sides and his personal favourites. Among Vive Le Rock and Gotta Be A Sin from his 1995 album Wonderful, came some little known rarities, even unknowns to anyone other than his diehard fans. There was Fall In, and Red Scab which is on the B side to Goody Two Shoes; Greta X which was the B side to Vive Le Rock, Friend Or Foe and a brilliant Room At The Top. That is not to say that the big singles were not present because they were and he did not disappoint. The crowd erupted at Antmusic and Prince Charming, followed by other fans favourites Goody Two Shoes and a stomping Stand And Deliver, which had the crowd on their feet. 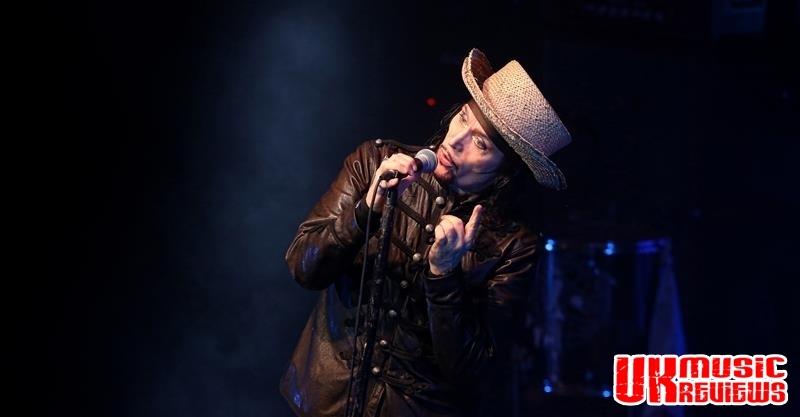 Adam Ant hasn’t forgotten the moves; he can still do the nimble footwork, he still has the swagger and his posturing hasn’t aged a jot. He was in great form, looking lean, relaxed and effortlessly exuding bundles of charisma. He had this audience in the palm of his hand as he brought the house down. 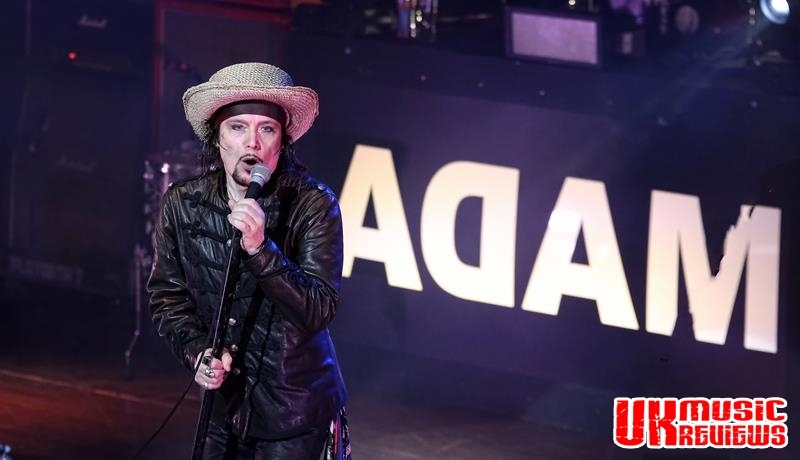 What wasn’t evident was a swinging chandelier, a buxom blonde and a dandy highwayman, but whilst those videos will always remain in the hearts of the audience of a certain age, Adam Ant showed that he is so much more. He is a talented musician who still knows how to entertain. Hi. Many thanks for your comment. I’m pleased that you have had a look at the site. If you look at picture 6 you can clearly see that he is wearing two hats. Apart from his pirate hat, he always wears two hats. But hats aside, it was a good concert.